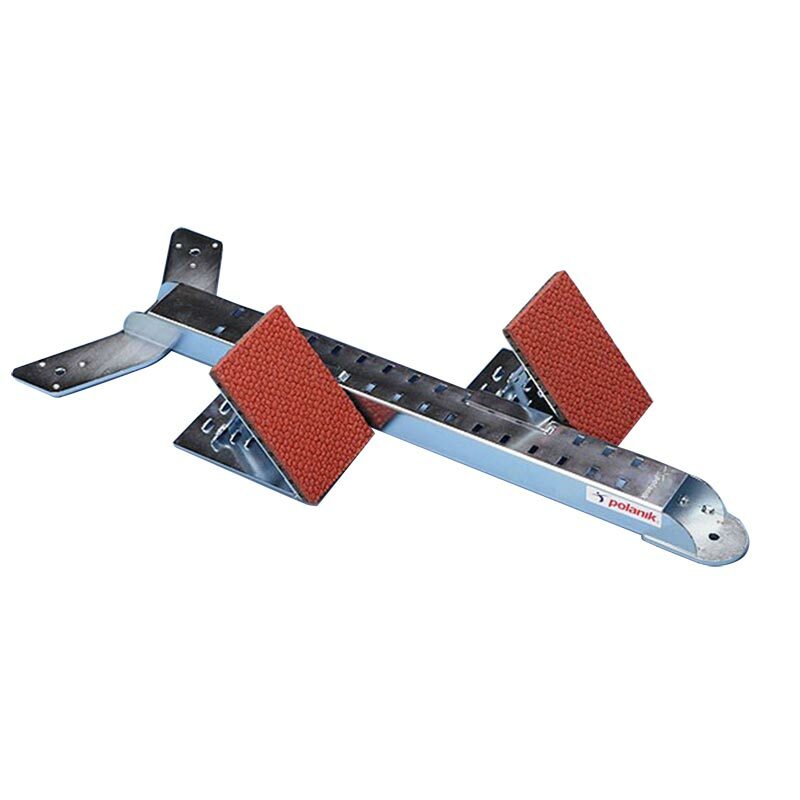 Polanik ® Training Starting Blocks can be used on cinder or artificial surfaces. Light and simple galvanised steel construction with 4-step blocks. 16 support positions on rail. Ideal for athletic clubs and schools. Great sturdy blocks that don't slip (good grip on the track) and plenty of scope for adjusting feet pads to suit desired foot position/distance etc. Not too heavy also for carrying around. Would definitely recommend.